Today we actually got to hit the track. They delayed the start time till noon, and they had practice from 7am to 11:15am. The wind was still blowing, but it was way calmer than yesterday. I ran both trucks a few times and was ready to rock. As noon got closer, the wind got stronger. First race was SC, and the wind was a blowing. I had a decently clean run for the wind, I did get blown off the track and into a bush off the triple. I got a second for Q1. 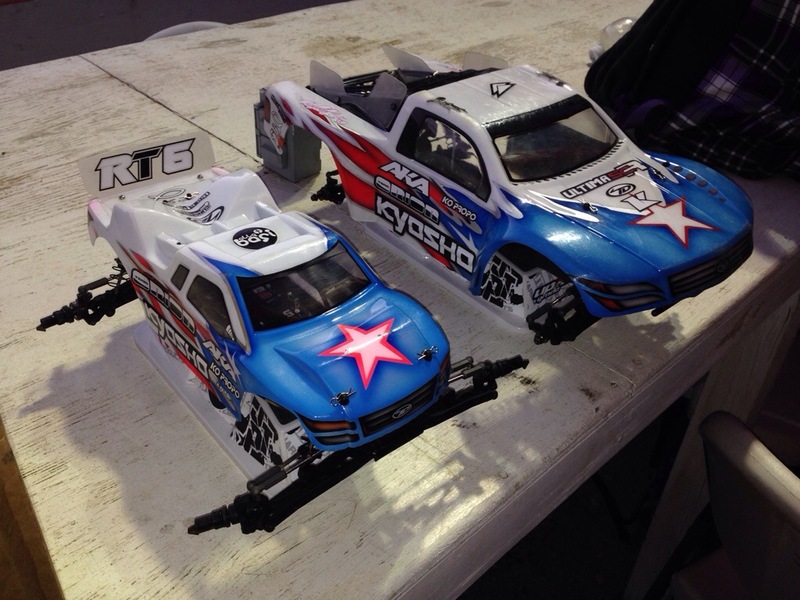 In truck I had a clean run and took the Q1 TQ. The next few runs went ok, but I didn’t really get the clean runs I was trying to get. In Q3 the overall TQ was up to me or Cody Turner, and we were both flying and fighting it out. We had a 5 second lead over Cav and we were pushing hard. I ended up having a crash and blew my shot. I will start 2nd in truck and 4th in SC. My cars feel really good, and the wind is supposed to be not blowing tomorrow. It should be a pretty fun finals day. Racing will be crazy on the track. It’s got pretty big jumps and you are kinda out of control going around. Here are my rides all ready for tomorrow. I only ran a gear diff for the first time at the Worlds. I liked the way it felt exiting the corners. For me it just feels more consistent and it pulls a little harder for jumps right out of the turns. They feel really good in my trucks.